Dean Williams and Arthur Marcial. 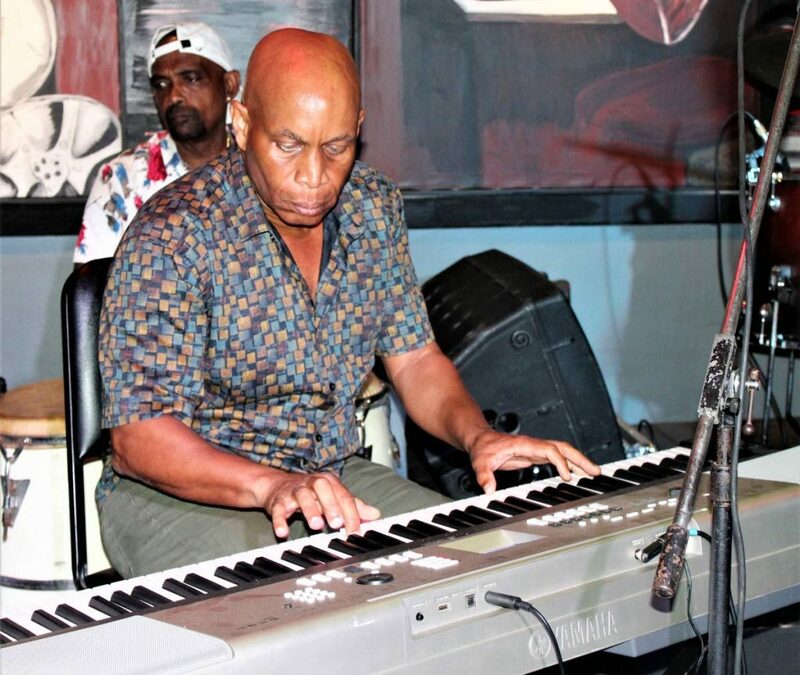 MUSICIANS and entertainers came out to celebrate the life of former guitarist Ryan Romany at Kaiso Blues Cafe on March 17. Scheduled to start at 5 pm the live action did not get going until 7.30 pm. By this time there was quite a few people in the cafe. 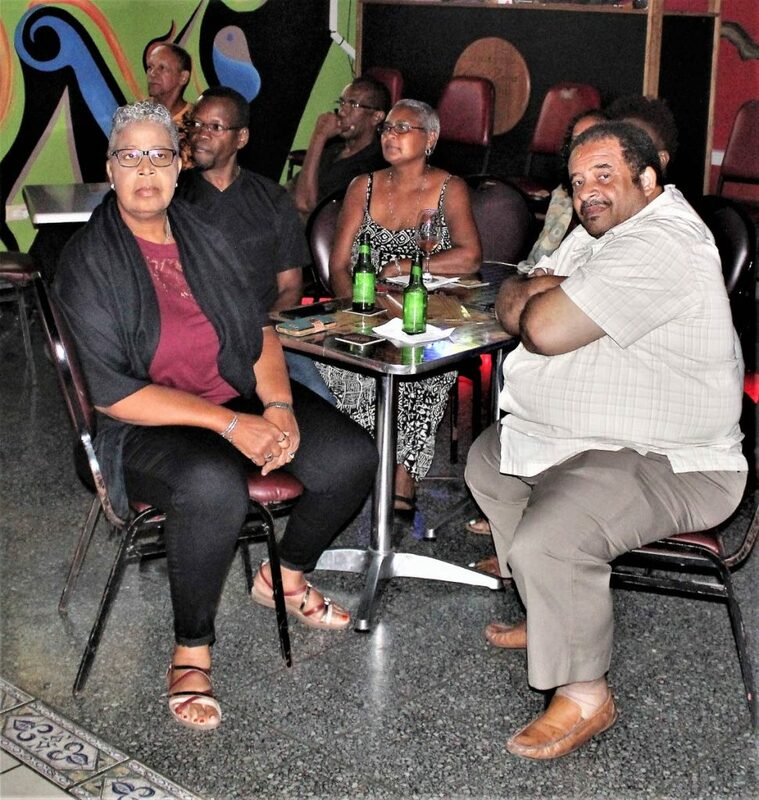 Included in the audience was National Carnival Commission (NCC) CEO Colin Lucas a former musician himself. Colin Lucas on the keyboards. The tributes to Romany were going so well that Lucas even joined the band on stage on keyboards. Ronoman opened the evening's performances and he was followed by Russell Cadogan and Adrian Philbert with He Ain’t Heavy. They were joined by Arthur Marcial and Dean Williams. Tracy Donald did Boyz II Men's Hard to Say Goodbye to Yesterday and solicited a very good response from the audience. Charlie Morrison gives a great debut. 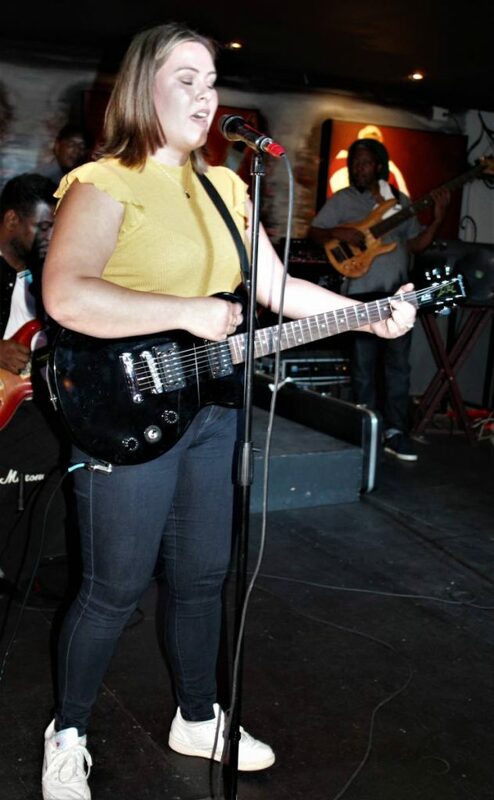 Charlie Morrison then moved from behind the keyboards to the front with her guitar. She admitted it was the first time she was performing in front of such a large audience but did not disappoint as she also received a very good response from the audience. Keyboardist Wayne Guerra also admitted he is not a singer but sang You are so Beautiful to Me. He was followed by Rene Lucas and Keith "Ajala" Sutherland who showed why he is still one of the best voices this side of the hemisphere. Ajala was a hit on the evening. Ajala did Knocking on Heaven’s Door, For the Love of You and a new version of White Horse. A song made popular by Francis Escayg and Ajala when the were in Fireflight back in 1985. Pannist Noel La Pierre came on stage and did For the Love of You, he was joined by trumpeter Rellon Brown and bassist Douglas Redon. David Rudder and Ibn De Leon in deep conversation. 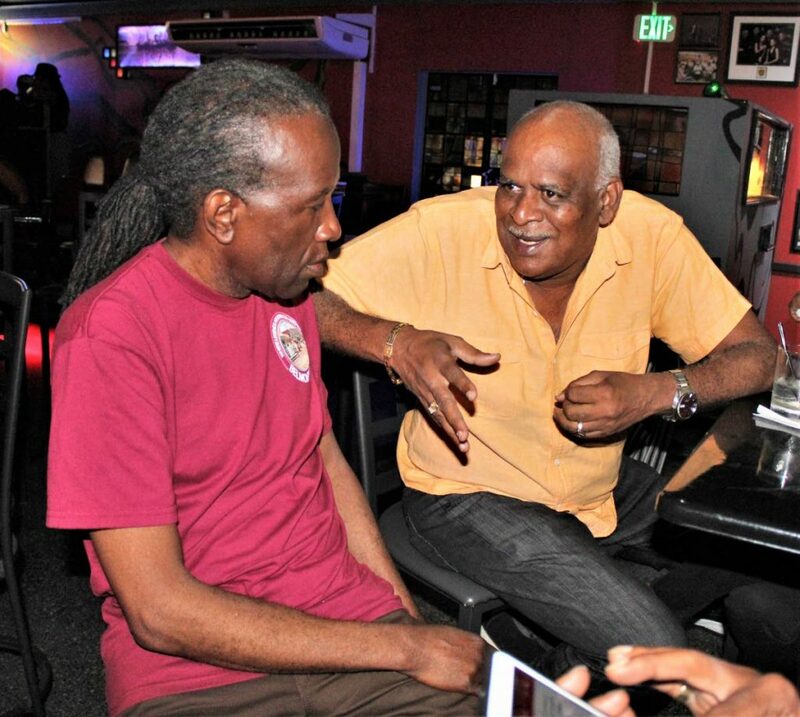 Just on 9.50 pm David Rudder mounted the stage and announced he was going to sing a song for a gentle soul and the music for Calypso Music started. When Rudder finished that classic he sang Spirit have to Dance but the audience did not want him to leave the stage. He gave them one more in Hammer and the entire Cafe audience was a chorus. Michael Nysus also put in an appearance and performed several songs including Lovely Day. KV Charles was next and he took the celebrations to a different level with How about a little Love, Too Much, Ain’t No Stopping Us Now and Face to Face. Some of the students of San who were a part of the tribute. The tributes came to an end with Kela who performed No Woman No Cry. Other musicians who played during the evening were Richard Durity, Roger Salloum and Earl Biter Edwards. Also in the audience were Vonrick Maynard, Leandra Head, Candace Alcantara and seven students from San Juan Government Secondary the school where Romany spent most of his days. 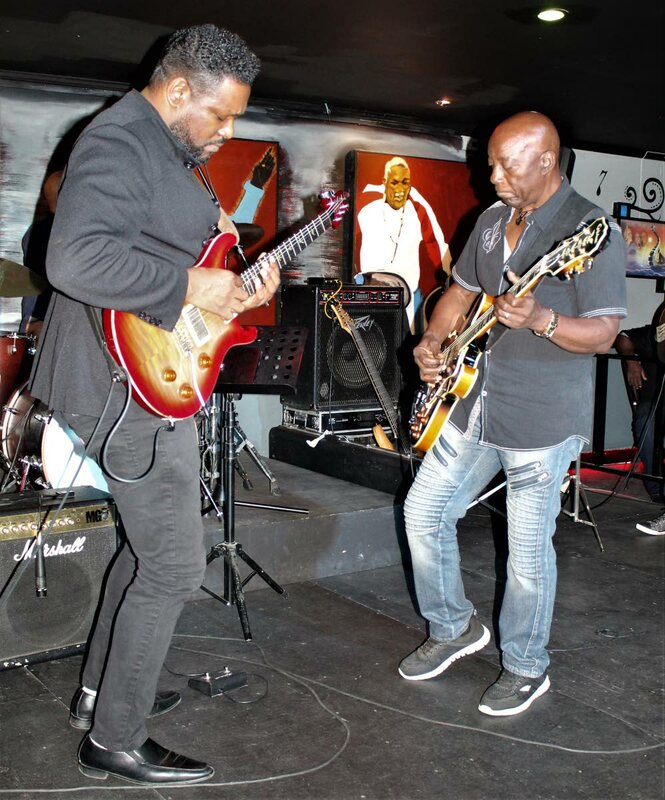 Romany, who died on March 12, was a guitarist with Melobugz and played with several other major music bands in the '80s and 90's. He is also produced Chris Garcia's Chutney Bacchanal. Reply to "Musicians in tribute to Romany"